The history of the Khalsa is filled with countless inspirational stories of sacrifice and dedication. The story of Shahid Bhai Bachittar Singh is one that many of us do not know in detail. We have all heard the story of how Bhai Bachittar Singh, with the blessings of Sri Guru Gobind Singh, turned the Mughal army’s charging elephant around at the battle of Anandpur Sahib, but the full details of the background of that incident and the details surrounding his life and shahidi are perhaps not as well known. We will try to take a closer look at this glorious shahid’s life here. This account is based on historical sources, chiefly Guru Kian Sakhian (1790), Bhat Vehi sources, Panth Parkash Giani Gian Singh and Gurpartap Suraj Parkash Granth, amongst others. Bhai Bachittar Singh belonged to a family which has no parallel in Sikh history. Bhai Bachittar Singh was the son of Bhai Mani Singh. 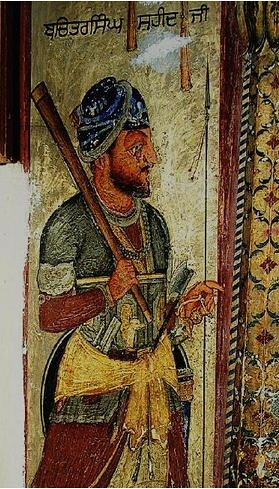 There has been some confusion amongst Sikh historians about the identity and history of Bhai Mani Singh, some claiming there have been two or even three Gursikhs by this name. Gyani Garja Singh who located and published the book Shahid Bilas Bhai Mani Singh by Kavi Seva Singh has established that there was indeed only one Bhai Mani Singh. Bhai Mani Singh was born in a Gursikh family and began his seva as a youth in the court of Sri Guru Hargobind Sahib. He continued to serve in the darbar of the subsequent Gurus and then also played a key role after 1708 in guiding the Khalsa. We remember his shahidi every day in ardaas. What is not as well known is what a pivotal role this family played in Sikh history as a whole. Relatives of Bhai Bachittar Singh include his uncle (brother of Bhai Mani Singh) Bhai Dyala jee who was shahid with Siri Guru Tegh Bahadur Sahib, his maternal grandfather Bhai Lakhi Shah Vanjara who cremated the body of Sri Guru jee in Delhi, his younger brother Bhai Udai Singh who was a general in the Khalsa army and his other brothers Bhai Anik Singh, Bhai Ajab Singh and Bhai Ajaib Singh who were martyred in the battle of Chamkaur Sahib. Bhai Bachittar Singh had two sons,Bhai Sangram Singh and Bhai Ram Singh who both also became Shahids. Bhai Sangram Singh was martyred in the battle of Chappar Chiri and Bhai Ram Singh was martyred in Delhi on June 9, 1716. A total of 53 shahids came from this one glorious family alone. Bhai Bachittar Singh was born on April 12, 1663. Bhai Sahib was one of ten brothers (eight of whom became shahids). Bhai Sahib was very close to Sri Guru Gobind Singh jee from his childhood and spent almost his entire life in Guru jee’s company. Bhai Sahib took part and accompanied Sri Guru Gobind Singh into every major battle. According to the Bhatt Vahi Multani Sindhi, Bhai Bachitar Singh and Bhai Udai Singh were married on the same day on March 2, 1693. In 1699 when Sri Guru Gobind Singh jee prepared khande ki pahul for the first time, according to Kavi Santokh Singh, Bhai Mani Singh offered his five sons, Bhai Bachittar Singh, Bhai Udai Singh, Bhai Anik Singh, Bhai Ajab singh and Bhai Ajaib Singh to Guru Sahib and all received amrit at that time. Bhai Bachittar Singh was one of the select 25 Sikhs who would remain in Guru Gobind Singh jee’s service at night by his bed. Some sources such as Kavi Santokh Singh say that Sri Guru Gobind Singh used to lovingly call Bhai Bachittar Singh “Bohrupia” or one with many forms because he would change his robes several times in a day. For many years, the Hindu Hill Rajas surrounding Anandpur Sahib were opposed to the Sikhs. They feared Sri Guru Gobind Singh jee’s rising power and the allegiance he was given by his Sikhs. The principles of Gurmat were also not pleasing to the Hill Chiefs who believed staunchly in their gods and beliefs such as caste and worship of stones. The attitude of the Hill Rajas was all the more despicable because many of their grandfathers had been the ones Sri Guru Hargobind Sahib had freed from the Gwalior Fort. Raja Bhim Chand of Kehlur who had personally visited Guru Sahib and saw the magnificence of the Gur-Darbar became jealous. When he demanded that Guru Sahib give him Parsadi Hathi which had been gifted to Guru Sahib by his devotee Raja Ram Rai of Assam (who was born with the blessing of Sri Guru Tegh Bahadur), Guru Sahib refused. This lead to further tension and animosity which eventually culminated in the attack by the combined forces of the Hill Rajas at Bhangani. Guru Sahib defeated the Hill army and sent them back in an embarrassing retreat. With the formation of the Khalsa, the Hill Chiefs were even more perturbed and offended that all castes were becoming one in the Khalsa. They felt that Guru Sahib’s power had to be checked. On August 29, 1700 Raja Ajmer Chand of Kehloor, attacked the fort at Taragarh. Earlier, his father Raja Bhim Chand had attacked Sri Guru Gobind Singh jee in the battle of Bhangani. Taragarh was built on top of a hill and was five kilometers away from Anandpur Sahib. It was the site chosen by many Singhs to focus their days on naam and baani. Because it was the most isolated of the forts, it was the first one to be attacked. 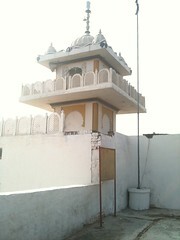 Sahibzada Baba Ajit Singh jee was leading the Singhs at this fort and put up a strong fight. Sri Guru Gobind Singh jee upon hearing of the attack dispatched 125 Singhs under the command of Bhai Udai Singh to support the Singhs at Taragarh. Raja Ajmer Chand lost many of his companions and was forced to retreat. Several Singhs also became shahids in this battle, including Bhai Kalyaan Singh who was the son of Bhai Dyala jee and therefore a cousin to Bhai Bachittar Singh and his brothers. The following day on August 30, 1700, Raja Ajmer Chand attacked Fatehgarh fort. 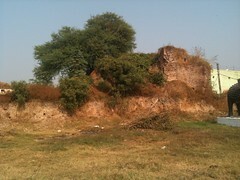 This fort was still being built and one of its walls (facing Kesgarh) was yet unfinished. The Khalsa army here was led by Bhai Bhagvan Singh who was the eighth of Bhai Mani Singh’s sons. The battle last approximately 10 hours, until the sun had set. In this battle Bhai Bhagvan Singh, who fought at the forefront to repel the attack, attained martyrdom. Raja Ajmer Chand once again fell back after suffering defeat. On the third day on August 31, 1700 Raja Ajmer Chand attacked the fort at Agamgarh (Holgarh). The attack lasted for approximately six hours but because the fort could not be stormed, Raja Ajmer Chand’s forces were once again forced to retreat. Amongst the shahid Singhs during this battle was Bhai Bagh Singh who was the son of Bhai Rai Singh, a brother of Bhai Mani Singh (Bhai Rai Singh himself became a Shahid during the battle of Mukatsar along with four other sons). Amongst the older and most respect advisers to the hill chiefs was Minister Parmanand. Parmanand advised the hill chiefs that an attack should now be made on Lohgarh fort, but this time the door of the fort should be broken first. In order to do this, a battle elephant should be given liquor and iron plates should be fixed all over its body and upon its forehead. The elephant would be able to batter the door down. 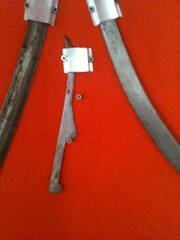 A blade should also be attached to its trunk to cut through the enemy. 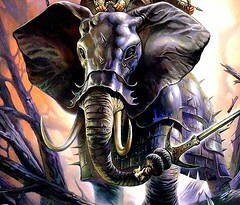 This elephant would be the key to victory and finally defeat the Khalsa army. Duni Chand heard these words and felt afraid. He could not understand how he alone could fight a drunken elephant and that too one covered in iron. During the middle of the night, he approached the leading Singhs like Bhai Daya Singh and asked that they intervene and suggest to Guru Sahib that the elephant be defeated in some other way. Bhai Daya Singh and the other Sikhs explained to Duni Chand that he was very lucky because it would be Guru Sahib himself who would accomplish the task but the credit would go to him. They assured him of victory. Duni Chand next approached Bhai Gurbaksh Singh from the line of Baba Buddha and Bhai Sher Singh Majithia, who both repeated what the earlier Gursikhs had said. The final quarter of the night had arrived and Duni Chand was no further along in obtaining support from any of the leading Sikhs. Taking five of his followers with him (who were also from Majha), Duni Chand decided to flee from the fort. Duni Chand and his companions were using a rope to scale down a wall but because Duni Chand was very heavy, the rope broke. As he fell to the ground, he injured his left leg. His followers lifted him up and helped him escape. Duni Chand and his companions completed their journey and arrived at Majitha. Duni Chand was resting his injured leg when in the middle of the night he had to get up. As he was rising from his bed and put his feet on the ground to put on his shoes, Duni Chand was bitten by a snake. Duni Chand died from this snake bite. ( Note: After some days, Duni Chand’s two grandsons, Anoop Singh and Saroop Singh came to Anandpur Sahib and fell at Guru Gobind Singh’s feet, asking that their grandfather’s error be forgiven. Both brothers then fought in the Khalsa army and became shahids at Nirmohgarh). Guru jee then gave Bhai Bachittar Singh the nagani barcha or snake-spear. Bhai Bachittar Singh did ardaas before Guru Sahib and with a radiant face proceeded towards Lohgarh. Soon after, a Singh arrived in the Darbar and told Guru jee that the army of the hill chiefs was approaching from the direction of Agampur with the drunken elephant at the front followed by the horse-riders of the army. 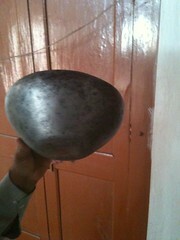 Bhai Alam Singh said that he himself saw Raja Kesari Chand. Guru jee asked Bhai Sahib Singh to give Bhai Udai Singh the karpa barcha that he had used to create the Tribeni spring near Guru Ki Lahore. Bhai Udai Singh then also departed for Lohgarh accompanied by his father Bhai Mani Singh and Bhai Alam Singh along with some other Singhs. At around 10am, Raja Ajmer Chand and his army could be seen approaching Lohgarh. Their army was in high spirits today, being confident of their victory. Kesari Chand was making his horse dance and was leading his men. 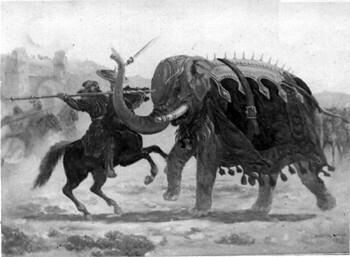 At the front was the drunken elephant, covered in iron plates and with a four foot long blade on its trunk. The elephant’s bellows were echoing loudly in the surrounding hills. Bhai Bachittar Singh saw that the time he was awaiting was near. He stood in Ardaas and asked for Guru Sahib’s blessings. He then asked his fellow Singhs for their permission to proceed. With the blessings and embraces of his brother Singhs, Bhai Bachittar Singh climbed upon his horse and exited Lohgarh fort. Bhai Bachittar Singh saw that the drunken war elephant was leading the way as the Hill army was approaching Lohgarh very quickly. Bhai Bachittar Singh roared “Sat Sri Akaal!” and then, like lightning, raced his horse towards the approaching army. With his consciousness focused on the Guru, he sped towards the charging elephant. As Bhai Bachittar Singh neared the elephant, he clutched the spear Sri Guru jee had given him and he rose from his saddle, with all his weight resting on his feet in the stirrups. With the elephant now facing him and in striking distance Bhai Bachittar Singh recoiled the spear and thrust it into the elephant’s forehead. The spear pierced the iron plates and lodged in the elephant’s flesh. Immediately, Bhai Sahib then pulled the spear back and a fountain of blood burst from the elephant’s forehead. With a loud a shriek, the drunken elephant recoiled and threw its rider to the ground. It turned around and blindly charged into the hill chiefs’ forces. The elephant was swinging its trunk left and right cutting through the soldiers and trampling them under foot. The hill chief’s men were stunned and shaken. With this, Bhai Udai Singh who was watching this entire scene while standing in Lohgarh’s gate, cried out “Sat Sri Akaal!” and stormed onto the battlefield . Bhai Udai Singh rode close to Kesari Chand who was still trying to lead his army and shouted “Kesari Chand! 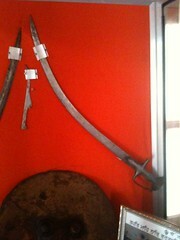 Attack me or else my blow will fall on you.” Kesari Chand swung his sword at Bhai Udai Singh but missed. Bhai Udai Singh immediately returned the blow with his Sri Sahib and Kesari Chand’s head was separated from his body. As the shocked Hill army looked on, Bhai Udai Singh picked up Kesari Chand’s severed head, placed it upon the Karpa Barchha and rode off towards Anandgarh to deliver it to Sri Guru Gobind Singh. With this, Bhai Mani Singh who was watching his sons from Lohgarh’s ramparts along with Bhai Sher Singh, Bhai Nahar Singh, Bhai Alam Singh and other warriors rode into the battlefield to fall upon the Hill army. Giani Gian Singh writes that Bhai Mohkam Singh cut off the war elephant’s trunk and Bhai Sher Singh cut its leg, causing it to fall to the ground like a collapsing mountain. Seeing the charge of the Singhs, the already demoralized Hill army retreated across the Charan Ganga rivulet. The Singhs inflicted heavy damage on their army and Raja Ajmer Chand was also wounded by an arrow. In this battle, according to the Bhatt Vahi Tlaundi Pargana Jin, Bhai Mani Singh was severely injured and Bhai Alam Singh, Bhai Sukha Singh (another cousin of Bhai Bachittar Singh), and Bhai Kushal Singh became Shahids. Bhai Udai Singh arrived at Anandgarh and after offering his Fateh, placed Kesari Chand’s head at Guru jee’s feet. Soon other Singhs arrived from the battlefield and told Guru jee of the victory that had taken place and the daring his Singhs had shown. From 1700 until 1705, the Hill Rajas continued to attack the Khalsa at Anandpur Sahib. Guru Sahib continued to show good faith despite having no confidence in the oaths of the idol-worshipping Rajas. Bhai Bachittar Singh and Bhai Udai Singh continued to serve at the forefront of the Khalsa army. The Hill Rajas began to build closer ties with the Mughals and specifically with Wazir Khan of Sirhind in their agenda against the Khalsa. During the battle of Nirmohgarh in October 1700, when Rustam Khan who had been sent by Sirhind to help the Hill Rajas entered the battlefield, the two brothers Bhai Bachittar Singh and Bhai Chittar Singh took an oath that they would teach him a lesson and play holi with their attackers’ blood. The battle of Nirmohgarh was a fierce one and both Rustam Khan and Nassar Ali Khan were killed. Beginning in late 1703, the Hill Rajas resumed active hostilities with the Khalsa and attacked Anandpur Sahib. Skirmishes between the two forces continued on and off until 1705. The number of residents of the town began to steadily decrease until there were less than a thousand Sikhs left. In 1705, Anandpur Sahib was surrounded on all sides by the Hill armies. Raja Ajmer Chand had personally visited Aurangzeb in the Deccan and filled his ears with stories of how Sri Guru Gobind Singh was a danger to the Mughal rule as he would try to convert all the Hindus to his faith and then challenge the Emperor. Aurangzeb had been monitoring the ongoing conflict and was surprised that the Sikhs could not yet be defeated. He was furthered distressed to hear of this threat to his rule and directed Wazir Khan to use his full might to crush the Sikhs. The combined armies of the Mughals and Hill Rajas marched on Anandpur Sahib for what they had planned to be the final decisive blow to the Sikhs on May 20th, 1704. Their numbers were in the hundreds of thousands and included not just soldiers but also professional looters who were waiting for Anandpur Sahib to fall. The armies of the Mughals and Hill Rajas at first tried to engage the Khalsa in open battle but were unsuccessful. For one month the armies attacked the Sikhs directly but each time were driven back by withering cannon fire and a storm of arrows. The attacking armies decided that it would be better to stay out of the range of the Sikhs and instead starve them into submission. The siege of Anandpur continued and no food was allowed to enter the town. Small groups of Sikhs would attack at night and bring back some supplies but it was not enough to sustain them. The surrounding armies also retreated back further and further so that the sorties would be much more difficult to make. As the siege dragged on for six months, the food supplies were completely exhausted. The 500 remaining Singhs all moved to Anandgarh to be together and were sustaining themselves on a single handful of roasted chickpeas a day. All the grass and even the bark on trees had been eaten. Guru Sahib’s magnificent Parsadi Hathi died of starvation. Many Singhs at Taragarh who could not receive any supplies also died of hunger. On the other side, the Mughal and Hill forces were also in dire straits. They had become tired of surrounding Anandgarh. The armies had ravaged and looted the area around Anandpur, driving the people away. Now they too were having trouble feeding their armies and keeping them motivated. Emperor Aurangzeb sent an offer to Sri Guru Gobind Singh asking that he help save face on all sides by agreeing to leave Anandgarh and briefly go somewhere else. The offer was written personally by Aurangzeb on the inside cover of a Koran. Guru Sahib knew that this was all a strategy of deception that the enemy had used before. With the dead of winter now approaching, it would only be a matter of time before the armies laying siege would have to leave. Many Singhs however were of the opinion that they could not bear the hunger any longer. They asked Guru Sahib to trust the Mughals’ offer. News also arrived that Ranghar reinforcements requested by Raja Ajmer Chand had been dispatched from Sirhind and were camping at Ropar. They too would arrive in a day. Guru Sahib finally accepted the repeated requests of these Singhs and after seven months and one day of siege, on the night of 6 Poh (December 15, 1705), the decision was taken to leave Anandgarh. At this time, a group of 40 Singhs who are known as “Muktas” made a vow that they would remain with Guru Sahib until their final breath. They would form the immediate group that would travel with Sri Guru jee and serve as his cordon. This group included Baba Ajit Singh and Baba Jujhar Singh, Punj Pyaray, Punj Muktay (the second batch of Gursikhs to receive Amrit), Bhai Mani Singh’s five sons including Bhai Bachittar Singh and Bhai Udai Singh, Bhai Mani Singh’s two brothers, Bhai Madan Singh and Bhai KaaTha Singh and Bhai Jeevan Singh (Bhai Jaita jee). As night fell, Sri Guru jee and the 40 Singhs travelled the short distance to Gurdwara Sis Ganj Sahib. They performed the ardaas for leaving Anandpur at this spot. Guru Sahib spoke to Udasi Bhai Gurbaksh and asked him to take care of Sis Ganj and ensure it was looked after. They then returned to Anandgarh to prepare for for the final departure. In the dead of the bitter cold Poh (December) night, the exodus of Anandgarh began. Mata Gujri jee and the two younger Sahibzadas were sent out first. The rest of the Singhs followed and finally Sri Guru Gobind Singh and his cordon also departed. Bhai Udai Singh led a jatha of 50 Singhs to stop the advance of the hill chief and Mughal armies at the Shahi Tibbi. Bhai Udai Singh was overflowing with fervor. As the armies approached, the Singhs took their positions on the hill and were calling out to challenge the Mughal and Hill soldiers. The dark night did not betray how small their number actually was. As the battle began, Kavi Sainapati in Gur Sobha says that Bhai Udai Singh’s consciousness was focused on the Guru. The Singhs fell upon the advancing army like a lion falls upon a flock of sheep. The armies were awe struck and bewildered. The hill was coloured red in blood as the battle went on for four and a half hours. As dawn broke, the final Singhs embraced martyrdom but with their sacrifice had allowed enough time for the rest of the Sikh column to escape the attack. The small jatha of 50 had accomplished the impossible and held back an army of thousands for hours. Raja Ajmer Chand saw Bhai Udai Singh’s body and thought he had killed Sri Guru jee. He cut off Bhai Sahib’s head and sent it to the Mughal command in Ropar for identification. Beating their drums of victory, the Hill army turned back, thinking they had finally won the day. While Bhai Udai Singh and his jatha of valiant Singhs were holding off the charging armies, Sri Guru jee had Mata Gujri jee and the younger Sahibzadas cross the River Sirsa. After them, the rest of the column began to cross the treacherous waves. Bhai Jeevan Singh (Bhai Jaita jee) along with 100 other Singhs stood watch on the banks of the river waiting to engage with the Mughal and Hill armies once they arrived. In the early hours of dawn, the jatha under Bhai Jeevan Singh clashed with the oncoming army. According to the Bhatt Vehis, Bhai Jeevan Singh battled for four hours. A bullet then hit him in the forehead and with a cry of “Vahiguru jee kee fateh!” he became another glorious shahid. All 100 of the Singhs in this Jatha along with Bibi Bhikhaan (the wife of Bhai Aalim Singh Nachna) became shahids. Once the caravan had crossed the Sirsa River, with only half an hour until dawn, Satguru Gobind Singh called upon Bhai Bachittar Singh. He asked Bhai Sahib to lead a third Jatha of 100 Singhs and proceed towards Ropar to block the advance of the reinforcements that had been dispatched from Sirhind at the request of Raja Ajmer Chand. This would allow the remainder of the caravan to move forward un-harassed. Bhai Bachittar Singh and the Jatha of Singhs proceeded to block the Ranghar army coming from Ropar. The two groups clashed near Malkpur Ranghran. The Singhs fought with ferocity and determination, knowing that each moment they held the army back was another moment the other Singhs would have to move farther away. One by one, each Singh fell. Bhai Bachittar Singh was severely wounded and lay close to death on the ground. After the battle, a group of Singhs including Sahibzada Ajit Singh and Bhai Madan Singh arrived and saw that Bhai Bachittar Singh was still alive along with the badly injured young Baba Zorawar Singh Paalit, Sri Guru jee’s adopted son. They lifted up Bhai Sahib and Baba Zorawar Singh Paalit and travelled with them to Kotla Nihang Khan. Baba Zoravar Singh was taken the home of Bhai Gursaa Singh who bandaged Baba 's wounds. In total, there were 22 cuts on 9 year old Baba Zoravar Singh's body, which would take a long time to heal. Bhai Bachittar Singh was carried to where Sri Guru Gobind Singh was staying in Nihang Khan’s fort. Sri Guru jee cast his eyes upon Bhai Bachittar Singh and had him brought to the personal room that had been given to him. Sri Guru jee then had Bhai Sahib laid down on his own bed. Sri Guru Gobind Singh and the group of Singhs stayed at Nihang Khan’s fort the entire day and tended to Bhai Bachittar Singh’s wounds. Although there were many smaller wounds, there was one very deep one that was most serious. As night fell, Sri Guru jee and the Singhs proceeded to leave Nihang Khan’s fort and asked him to take care of Bhai Bachittar Singh who was in no condition to travel. 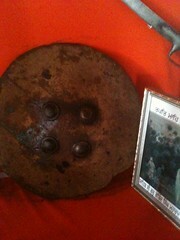 As the Jatha of Singhs was leaving, Sri Guru jee gifted Nihang Khan his personal shield, kataar and a sword. Two days after Satguru Gobind Singh left the fort, a report was sent to Chaudhari Jaffar Ali Khan of Ropar that some Singhs were staying in Nihang Khan’s fort. Jaffar Ali Khan proceeded with a group of soldiers and surrounded the area. As Jaffar Ali entered the fort, he couldn’t see any Sikhs. The troops with him proceeded to search the fort but found nothing. Only one room remained, where Bhai Bachittar Singh was lying inside. Nihang Khan’s unmarried daughter, Bibi Mumtaaz was also inside the room, attending to Bhai Sahib. Bibi Mumtaaz heard her father’s words and with great reverence put her head on Bhai Bachittar Singh’s feet. At that instant, she felt a powerful current of energy pass through her body and a wave of spirituality was awakened within her. As per her father’s words, Bibi Mumtaaz accepted Bhai Bachittar Singh as her husband from that moment onwards. Jaffar Ali proceeded to leave the fort with his troops and apologized for the intrusion, saying that it was clear that someone had provided him false information. Bhai Bachittar Singh was however approaching the hour of his martyrdom. The next day on 9 Poh, at around 10.30 pm, Bhai Bachittar Singh left his body to go take his eternal place in Sach Khand. Nihang Khan brought Bhai Gursa Singh and Bhai Bugga Singh to perform Bhai Sahib’s saskaar in the night. The cremation took place near the well of the fort. Bhai Gursaa Singh first did the saskaar of Shaheed Bhai Bachhitar Singh and then secretly took the injured Baba Zoravar Singh Paalit to village DaDhaeRee where a Sikh lady, Mata Poopaa(n) lived. Mata Poopaa(n) was a devotee of the Guru and used to sew clothes for Guru Gobind Singh and present them as offerings. Mata slowly cleaned each wound and re-bandaged them. Baba Zorawar Singh would live to re-join Sri Guru jee at Sri Damdama Sahib but became a shahid in a skirmish in Chitaur, Rajasthan in 1708. The spiritual experience of putting her head on Bhai Bachittar Singh’s feet changed Bibi Mumtaaz forever. Every day Bibi Mumtaaz would bathe at amrit vela and perform her nitnem. She would then go to where Sri Guru Gobind Singh jee’s shastars were kept and spend the day sitting before them, with a mala in her hands. At sunset, she would rise and go to the cremation place of Bhai Bachittar Singh jee to do her evening nitnem and spend the night quietly meditating there with her mala in hand. Bibi Mumtaaz lived an amazing 131 years. In her final 32 years, she lived in village Nurangpur Jhandian. Once every year, she would come in a chariot on the day of Poh Sudi 4 to Kotla Nihang Khan and pay her respects at both memorials. She finally left this world in 1810. 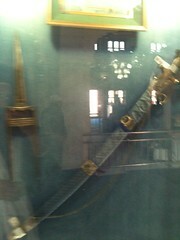 Bhai Bachittar Singh jee’s nagni barchaa is preserved at Takhat Sri Kesgarh Sahib and his tegha is preserved at Sri Akal Takhat Sahib. Bhai Sahib’s life and the story of Bhai Mani Singh’s family will forever be an inspiration to the Khalsa Panth.